Yup! This is a big bean bag. 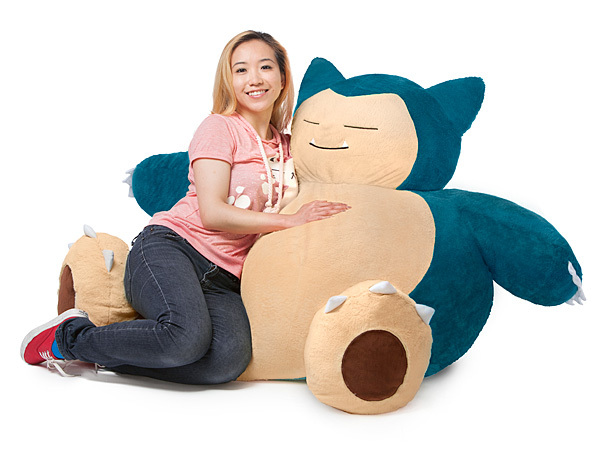 Our Snorlax comes in at over 4 feet tall and 2 feet wide. You could probably kill someone with that. Do not kill anyone with this Pokemon chair! This 100% polyester (on the outside) beanbag is the creation of Think Geek and fully licensed so you don’t need to worry about unexpected legal dramas. Surely this is the chair any evil DM must TPK from. Right?